The next upcoming National Freedom Day is on Saturday February 1st, 2020. National Freedom Day is held annually on February 1st each year. 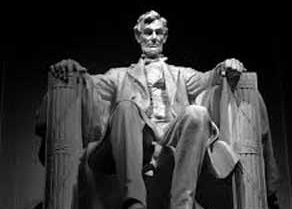 The day honors in the United States the signing of a resolution by both the House and Senate and President Lincoln that later becomes the 13th amendment (outlaw slavery) to the US Constitution. Another important civil rights holiday, Martin Luther King Day became a national holiday in the early 1980's advancing civil rights and racial equality. It’s a day of reflection where people look back at its importance and effect on society. Government, schools, and some institutions will have discussions, readings, and other relevant thoughts on the day. It’s a day to promote good will, equality and fairness to your fellow man. In the United States National Freedom Day is not a public holiday but celebrated as an observance. National Freedom Day was signed on February 1, 1865 under President Lincoln, but was not ratified by all the states until later. Major Richard Robert Wright Sr who was a former slave began a movement to make National Freedom day a national holiday by organizing local and national leaders. In Philadelphia at Independence Hall on February 1, 1942 the first commemoration took place with thereafter a annual wreath laying at the Liberty Bell also located in Philadelphia. Officially on June 30th, 1948 under a bill signed by then President Harry Truman, National Freedom day was proclaimed to be on February 1st - the same day President Lincoln signed the 13th amendment outlawing slavery.